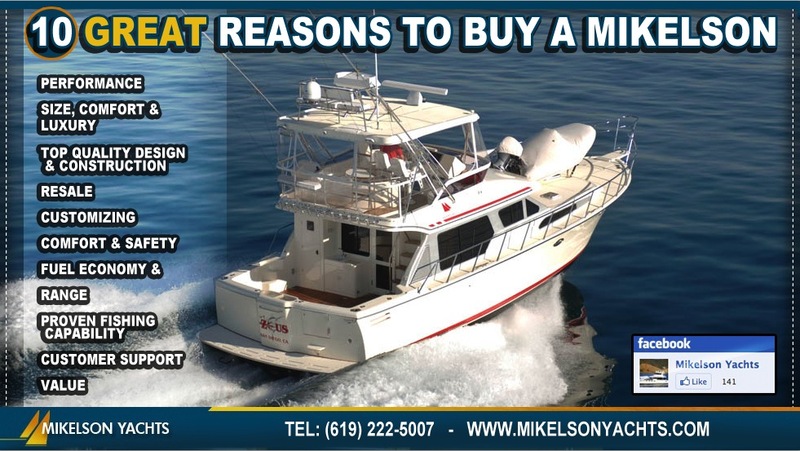 The Mikelson 43 Sportfisher offers tons of living space in a very fishy platform that can maneuver with the best of them. 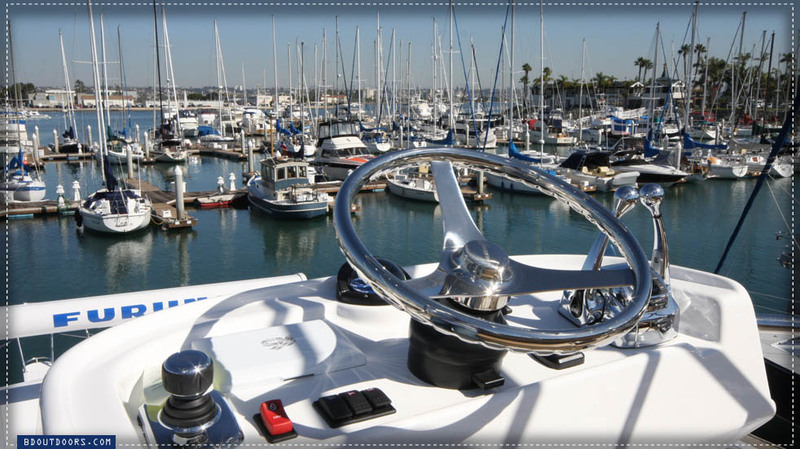 The flybridge offers two sets of controls. 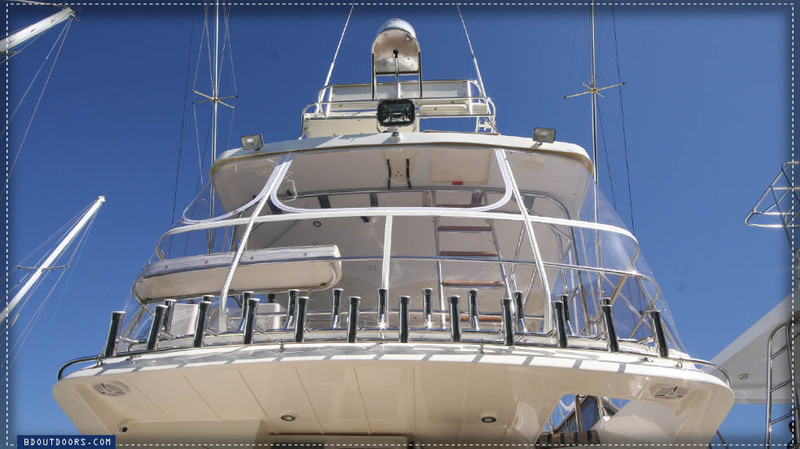 The main helm area is situated all the way forward for great visibility when cruising or glassing for birds. 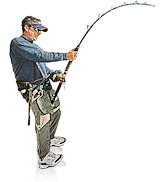 A rear control complete with Zeus joystick offers the perfect perch for chasing down fish. The aft galley keeps the cook in the action. You can watch the baits through a large window as you make a sandwich, or chat up the other guests in the salon. 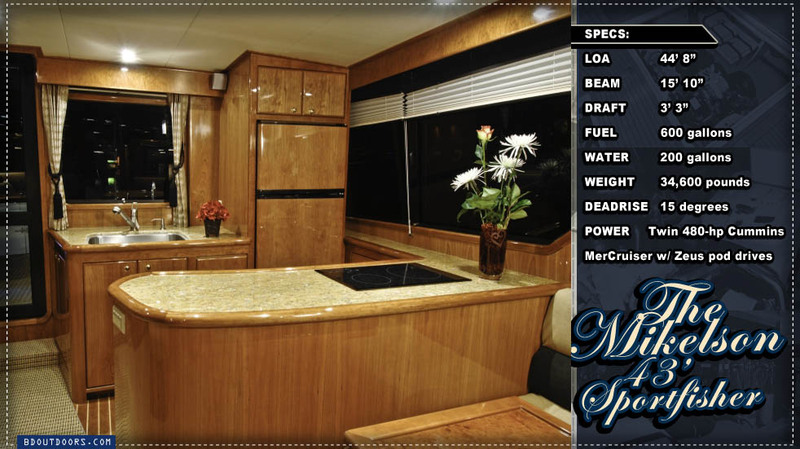 The galley and the salon in general feels much larger than the space most 43-footers provide. 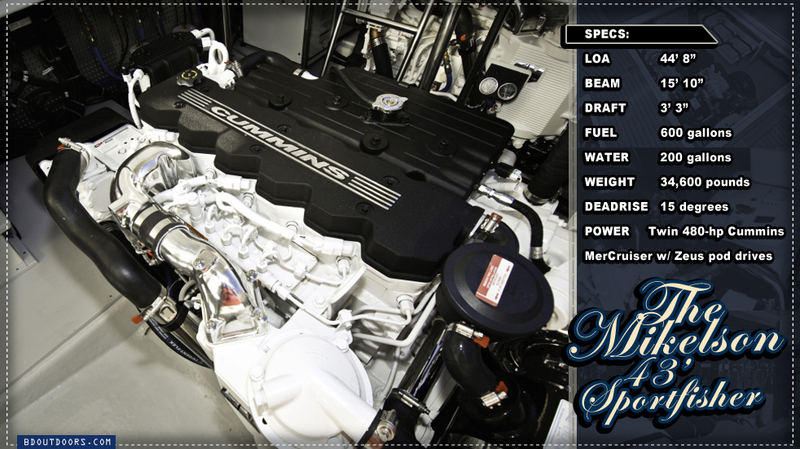 The 480-hp Cummins MerCruisers are very economical and push the Mikelson along at a nice clip. At 70 percent load we hit 25 knots sipping just 34 gph, averaging roughly .74 miles per gallon. At full-open throttle we tapped out at 30 knots, burning 51 gph. At trolling speed, we burned just 3.6 gph trolling at 7.5 knots. The turning radius of the Mikelson 43 was impressive. 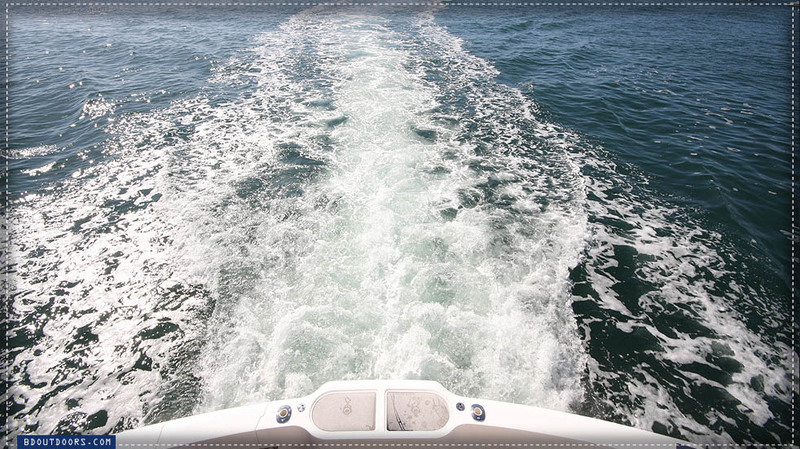 At cruise you could turn the wheel hard over and make a complete course change in just a few boat lengths. 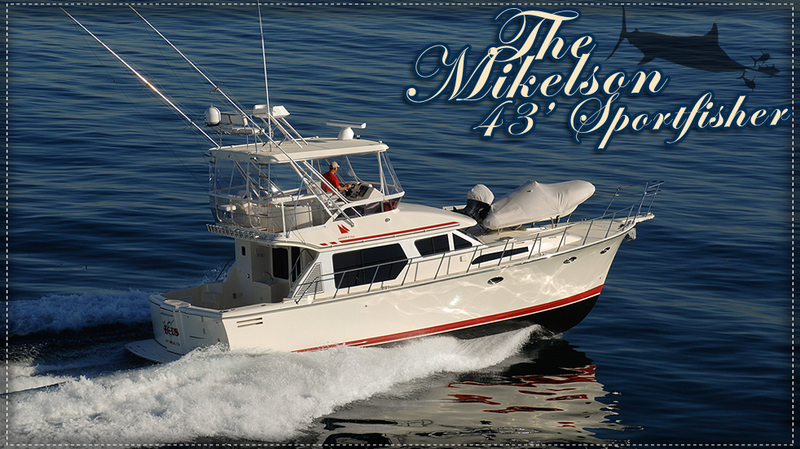 The Mikelson 43 has a roomy, airy feel to it. 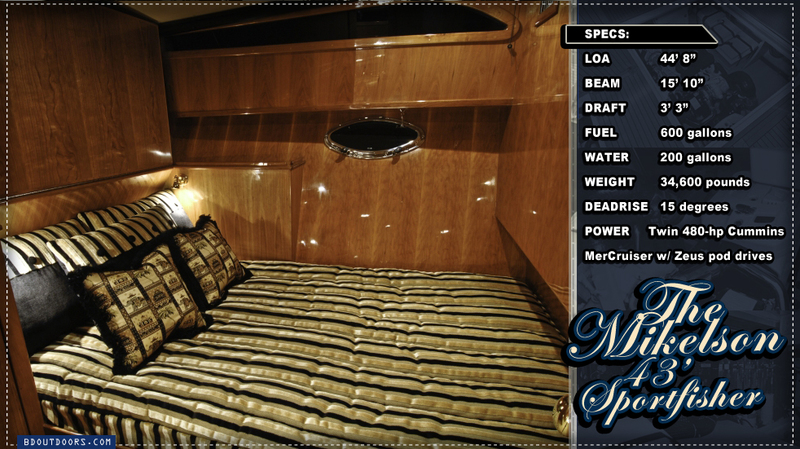 The staterooms all feature plenty of storage space and plush beds. 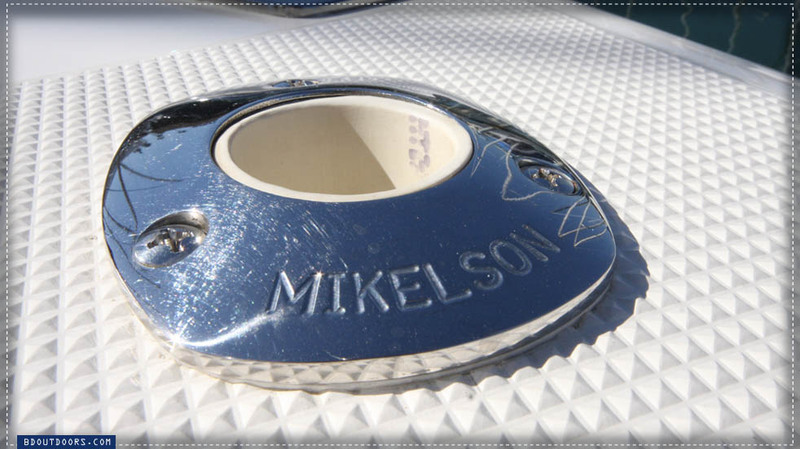 Mikelson works with each client to customize the interior of the boat to their liking. 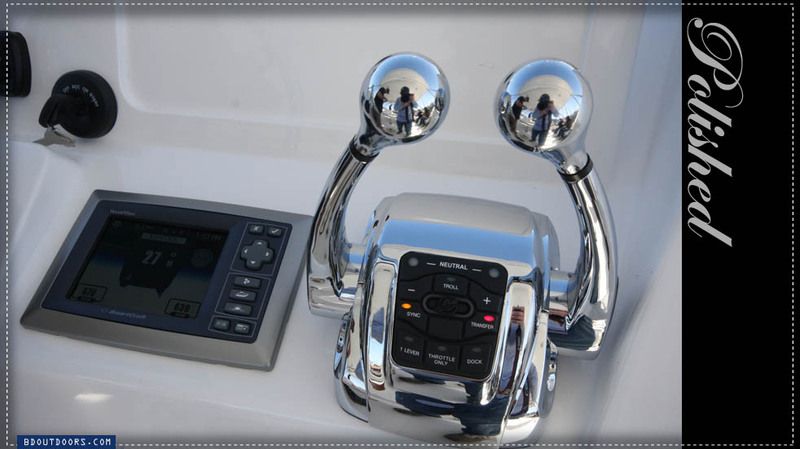 The captain has the choice of running the boat with the conventional controls, or using the joystick. Either way, the Zeus pods make docking and backing down almost too easy. 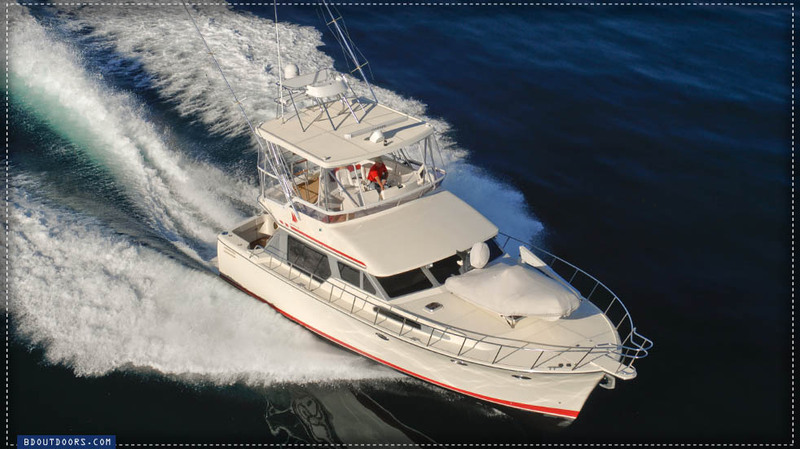 The Mikelson 43 Sportfisher comes complete with a set of controls above the hardtop — the perfect spot to glass for tailers or back down on a fish. 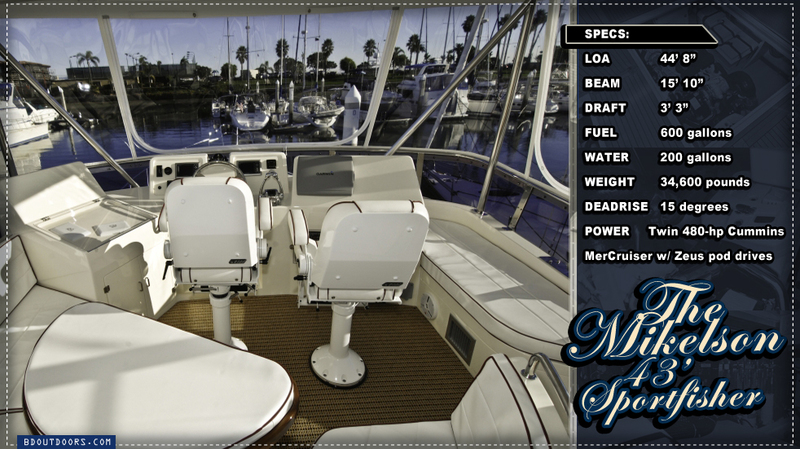 You might very well run out of fishing rods before you run out of rod holders on the Mikelson 43 Sportfisher. Some folks claim that pods make too much prop wash. At trolling speed, the Mikelson 43 had clear alleys down each side to set your baits back. 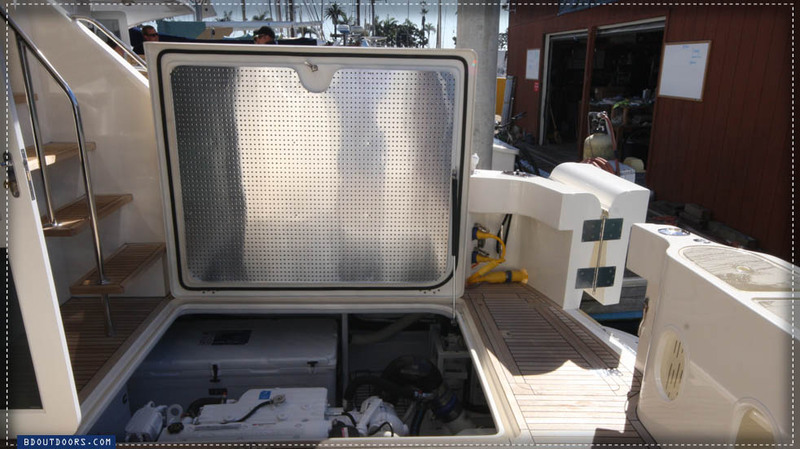 The rear controls on the Mikelson’s flybridge make docking a simple proposition. Even in a wind and cross current, the joystick takes the stress out of parking the 43 in even the tightest slip. The engines are positioned right below the cockpit deck. 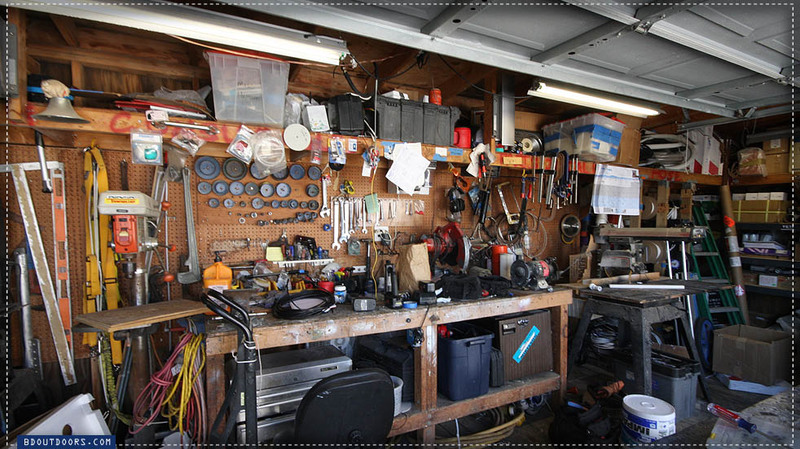 You’ll never have to open the salon door to do any engine work. And, you can easily get to every inch of the engine. The folks at Mikelson have a very good eye for detail. 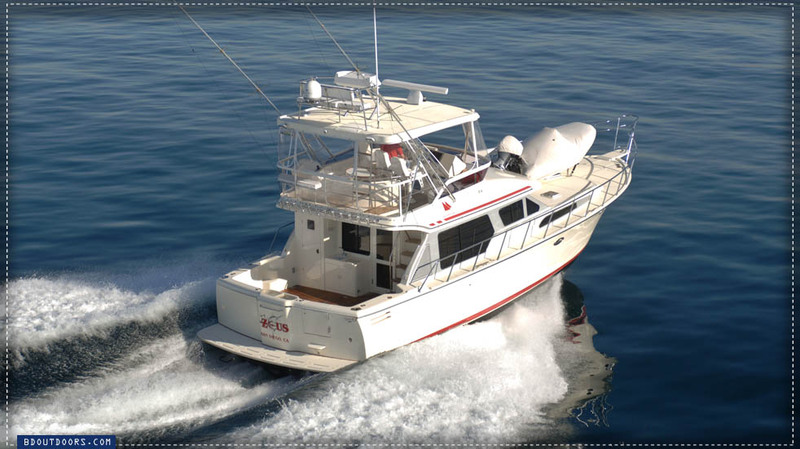 Cruising, fishing or just going out for the day, the Mikelson 43 covers a lot of bases. It’s amazing what the boys from Mikelson can do out of this small workshop located right on the floating docks in San Diego. Not a bad place to set up shop! 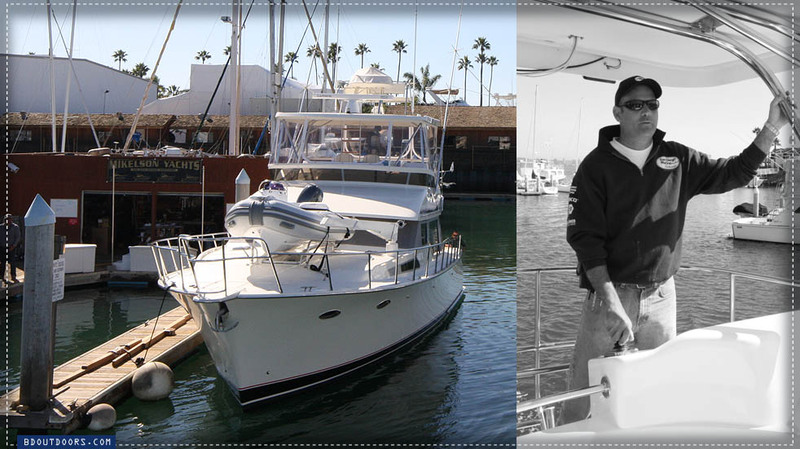 For more information on the Mikelson 43, visit the company’s website at www.mikelsonyachts.com or call 619-222-5007.